Home / News / An Adaptogenic Vanilla Hazelnut Latte Recipe That’s Better Than Your Morning Cup of Coffee! An Adaptogenic Vanilla Hazelnut Latte Recipe That’s Better Than Your Morning Cup of Coffee! How does your morning start? Do you run for the kitchen and pour yourself a cup of coffee to kick your day into high gear? This is how many of us get through a busy day, and some of us can’t function without our cup of joe. But, what if there was a better and healthier way? This adaptogenic vanilla hazelnut latte recipe has everything you need to get your day off on the right foot. Plus, it is absolutely delicious, and you don’t have to suffer from indigestion or that jittery feeling you get from excessive caffeine. Not only that, but this latte can also help you feel centered and ready to tackle the day ahead with a clear mind. So, are you ready to ditch the coffee addiction once and for all? 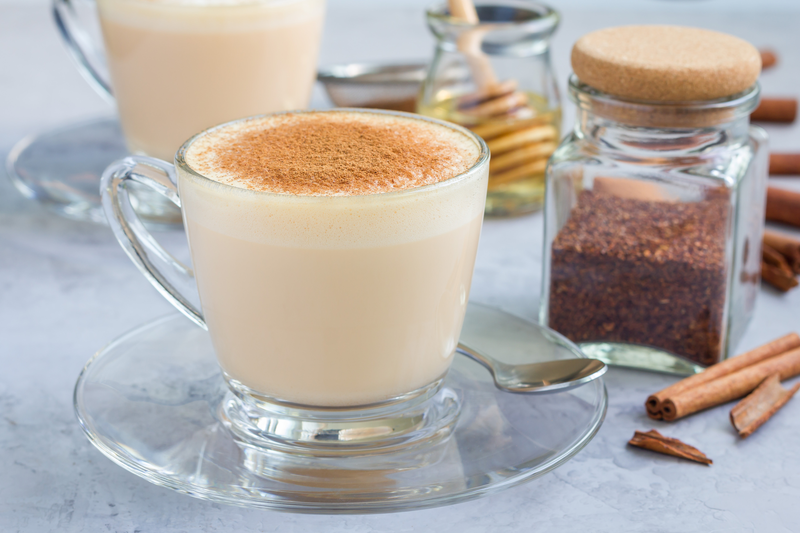 Give this adaptogenic vanilla hazelnut latte recipe a try. It may just be what your body needs to feel relaxed and energized all at the same time. 1. Start by pouring the tea into a stockpot with the hazelnut milk and pure maple syrup or raw honey. Whisk well. 2. Add the remaining ingredients and mix again until the coconut butter is melted and evenly mixed into the tea. 3. Whisk for a couple of minutes and enjoy in your morning coffee mug. If you suffer from fatigue and rely on caffeine to get you through the day, give this recipe a try. 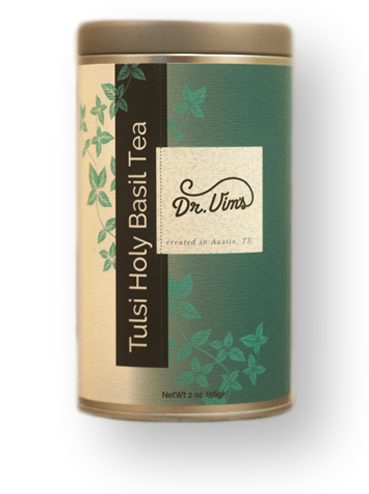 Holy basil not only helps combat fatigue, but it has also been shown to help support mood and blood sugar levels. It is the ultimate way to get your morning started. The coconut butter in this latte is also great for giving your body a boost with a healthy fat to help kick start your metabolism and provide you with some long-lasting energy. If you still find that you are suffering from fatigue, you may want to try supplementing with an adaptogenic blend like Yinergy. 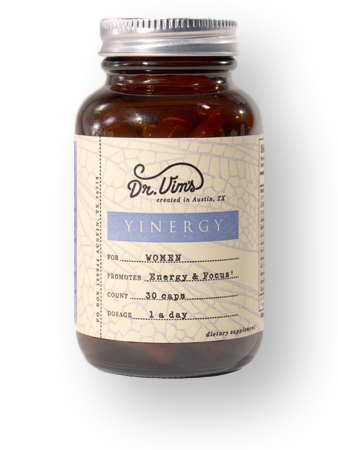 Yinergy offers a blend of adaptogens like rhodiola and ginseng which can help support mental focus and mood and help you achieve stabilized energy all day long.